Stacey Rice has made an important and lasting impact on Portland in 6 years in the city. Stacey is a speaker and trainer on trans policies for businesses, government organizations. In 5 years with the Q Center, the largest LGBTQ2SIA+ community center in the Pacific Northwest, Stacey made the organization more inclusive and equitable, while shoring up the financial aspects to ensure a solid foundation for the center. She was recognized by the Gay and Lesbian Archives of the Pacific Northwest as a Queer Hero in 2016 for her work at Q Center and in the greater Portland community. 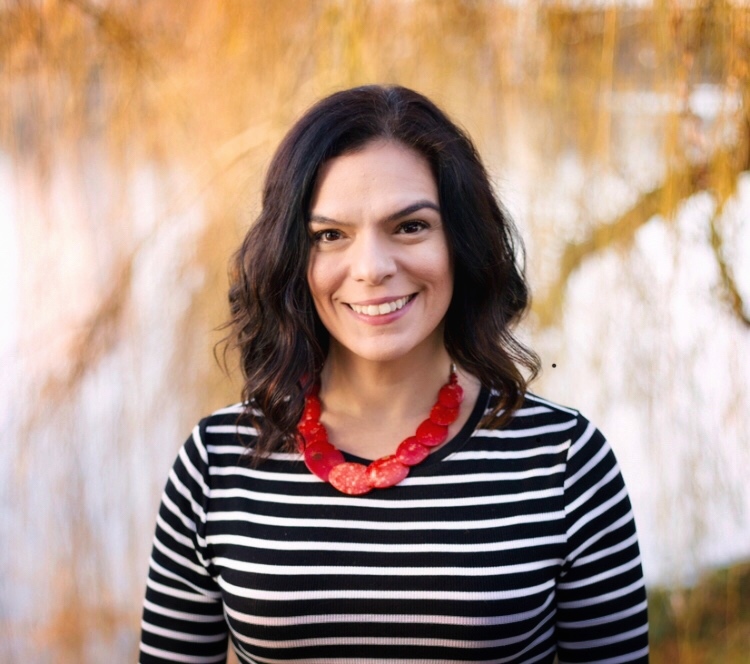 She now works for the City Club of Portland and organization dedicated to community service, public affairs and leadership development. And this quote of hers could have been said by myself: "In her spare time, you will find Stacey out wandering the backroads of the Pacific NW, hiking to her favorite spots in the Gorge and on the Coast, maybe sitting under a big Ponderosa Pine tree somewhere in the high desert, or heading out to Willamette Valley wine country." Nikole Potulsky has a voice that can lilt through the air like a tiny bird or burst through the gut with the soul of a wild beast. The stories she weaves through lyric and music resonate in our bones because they are reminiscent of our shared human past of storytelling around an intimate campfire of family and friends. From Nikole's Bio: Nikole Potulsky grew up in small towns, at the kitchen tables of working women who taught her to read cards, listen for deeper meaning, make her own money, and never back down. Her stories often chronicle the lives of these women- mothers, grandmothers, counterfeiters, fortune tellers, bar owners, gamblers, arsonists, divorcees, and mistresses. She connects their stories of rebellion and resistance to her own, and raises up parallel stories of resilience. Nikole writes to reminds us that there is beauty and power in everything, particularly the darkness, the unspoken, the lost, and the forgotten. Nikole Potulsky stirs the the raw emotion of the blues, the call to action of folk, the storytelling of country music with the longing for salvation of gospel. Nikole has performed across the United States on stages with Israel Nash, Daphne Willis, Edna Vasquez, Ashleigh Flynn, Taína Asili y la Banda Rebelde, Evan Greer, and at events like Queer Tacoma, Unchaste, Get Nervous, Grief Rites, Coming Out Monologues, Siren Nation, OutLoud Music Festival, Rhea Music Festival, Batts Comedy Tour, and once in a honky tonk bar behind chicken wire. Nikole will appear at the September 11th, 2018 taping of My Real Portland. Katrina Kahl is a fellow graduate of Portland’s David Douglas High School (Go Scots!) Katrina then graduated from PSU and then on to earn a Masters in Public Health from UC Berkeley. 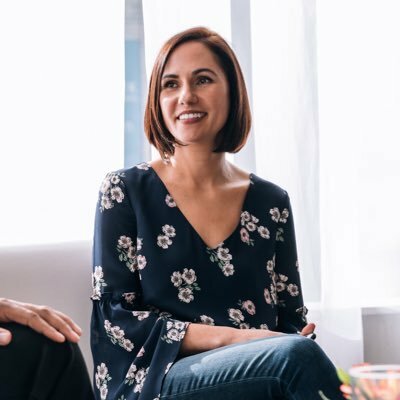 Katrina worked for the Michael J Fox Foundation and National Psoriasis Foundation, and after serving 5 years on it’s Board of Directors, Katrina began her position as Executive Director of the Brian Grant Foundation in Spring 2016. It’s Katrina Kahl! Katrina will be featured on the august 14th recording of my real portland! The second My Real Portland The Podcast features 3 Real Portland Originals - Comedian Whitney Streed, Storyteller Denise Pena, and Actress, Playwright, Singer, Songwriter and Bon Vivant Melinda Pittman! Recorded Live at Jade Lounge, April 25th, 2018. The next episode records live at Jade Lounge, Monday June 11th, 2018 at 7 PM. Happy Hour at 6:30. Denise Pena recently made her debut storytelling performance at Our Bold Voices' Nevertheless She Persisted. And it's a very small world - my musical guest last month was Joaquin Lopez who I met at school in Ashland. Denise went to school with Joaquin mere years earlier at Sunset High in Aloha. I was curious about Milwaukie Avenue between Portland and Milwaukie. Here's what I uncovered! It became far more interesting than I could have imagined! Paul and I met when I worked at Loaves and Fishes Centers years ago, but he remembers me from an earlier volunteer gig when I was the Founder of Friends of Lone Fir Cemetery. He’s now the Founder of Our Bold Voices, a storytelling series that supports local organizations. While the Eagle Creek Fire of fall 2017 was raging, I took my camera out with me to shoot a video about fire safety. Remember, only you can prevent forest fires.